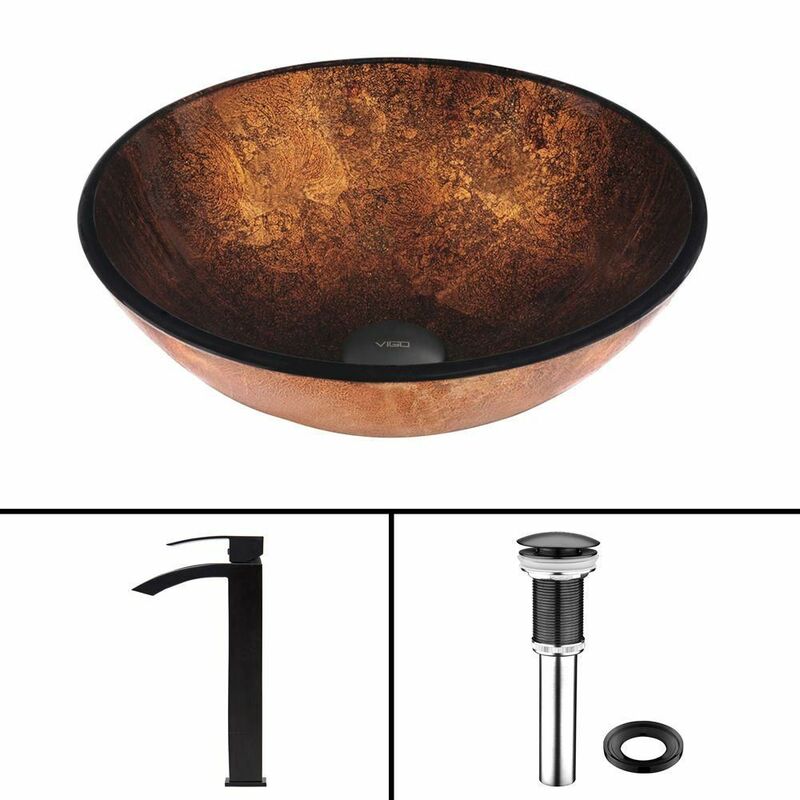 Glass Vessel Sink in Russet with Duris Faucet in Matte Black is rated 5.0 out of 5 by 1. Rated 5 out of 5 by Dallas from Gorgeous sink and faucet Bought this for a powderoom remodel. Absolutely gorgeous. Faucet is ALL metal and top quality. Love the looks of it and the sink. Pictures do not do them justice. Thrilled with your products. Thank you.